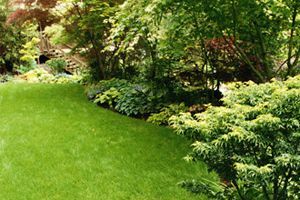 Service First Lawn Care, Inc.
Carlsen Lawn & Landscape, Inc. Pro Turf Lawn Service, Inc.
Sonshine Lawn and Landscaping, Inc. Comment: need control of dandelions and weeds in my yard with weed spray. Comment: My grass has basically died in several areas. From pet traffic originally, then a sprinkler system that didn't work properly. I have tried aeration, sod, seed and nothing seems to work. Was thinking about hydroseeding. Comment: Need help with diagnose lawn problems. AquaPro Irrigation & Landscaping, Inc. Image Lawn and Landscape, Inc.
Raymore Lawn Care Services are rated 4.65 out of 5 based on 2,108 reviews of 23 pros. Not Looking for Lawn & Garden Care Contractors in Raymore, MO?